Experts in online presence.increasing patient volume.dental marketing. Are you starting out your practice or have been in the industry for years? Regardless, Dentists need an online presence to strengthen the awareness of their practice, build their brand and drive clients to their doors. Based on our experience in this field, we have seen great success and growth for those who create an online brand compared to those who stick to traditional marketing efforts. We always see positive results when our clients utilize a combination of website design, SEO, Social Media and Online Advertising. Your Face, Online. Whether is a person or brand logo, your face it a big part of its reputation. Ratings and reviews are becoming one of the biggest driving forces for selecting products, doctors, services, etc. Our team is dedicated to making sure your online reputation reflects positively on your practice. We do full review and rating management through Google so that when you are found, people know exactly who you are and what you can do to help them. Every dentist has their own unique set of skills. Your dental practice is specific, specialized, and unique. So should be your online brand. 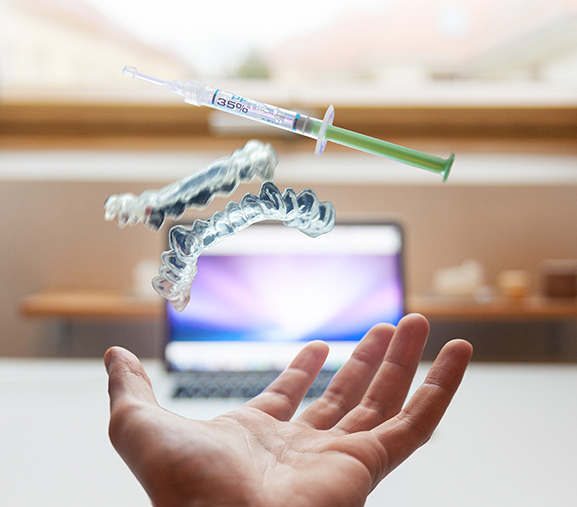 With the emergence of the Internet, more and more dentists are taking advantage of online marketing tools to improve their brand. With the experts at WebMarkets Medical, we improve the brand perception, authority and loyalty of your dental practice. Its no longer a luxury for a dentist to have an excellent online presence. It is now a must. SEO strategies for dentists are a unique blend of proprietary strategy, wise implementation, research and unique distribution of content throughout the Internet. What’s more frustrating than not being able to find your own practice online? If you aren’t on the first page, you might as well not be there at all. It is essential for dentists to be found on Google for their services. We develop a targeted keyword list and utilize our proprietary strategies to get the results you need. Having a special deal on a particular service? Want to drive additional traffic to your website? Trying to increase new client acquisition efforts? Advertising can alleviate all of these pains and struggles. We are experts in social media and Google advertising that are proven to be effective in solving all of these types of problems. We build unique campaigns at targeted traffic to ensure you get the best return for your money spent. WebMarkets Medical has a trusted, reliable team of website professionals to manage your dentist website. Our online strategies are specific to the unique needs of all dental specialties and goals. As a dentist, its time you had website experts dedicated to your success. The average dental patient checks their phone over 50 times per day. Having a professional mobile presence will connect to your patients and improve their loyalty to your dental practice. These days, for a dentist, a mobile strategy is a must. Allow patients to pay online and turn your medical website into a dental payment center. We securely accept payments via the web by adding multiple custom forms to your website and partnering with the right payment processing companies. Your website should serve as your best salesmen and the focal point of your online strategy. Developing an informative, engaging website can have great results for capturing new customers and educating current clients on additional services and offerings of your office. Having an amazing website lets you drive all your traffic to a singular point that allows us to accurately analyze your results and how to continue to improve those results. We help to eliminate paper forms by converting them to online forms on your website. This eliminates wasted time and maximizes office admin efficiency. And yes, depending on your EMR, we integrate patient forms directly into your system. Complete paperless patient forms. Its the wave of the future and it's HIPAA compliant. When you search your dental practice in your area, what do you find? What do you see when you search a dentist's name? The SEO team at WebMarkets Medical helps to identify profitable search terms and optimize your website to be displayed at the top of Google. In today's fast paced, online environment, if your dental clinic does not have a Google presence, you are instantly losing credibility and future patients. From keyword research to search engine optimization and marketing to website conversion, WebMarkets Medical has all of your search engine bases covered.